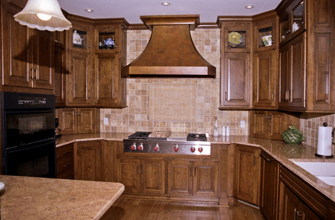 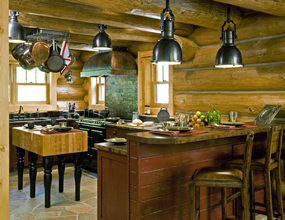 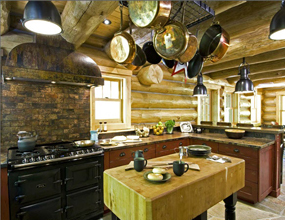 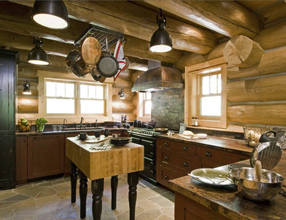 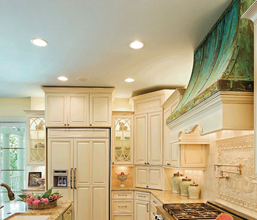 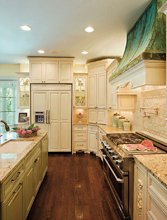 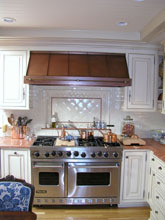 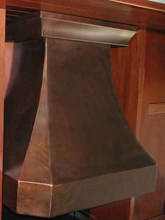 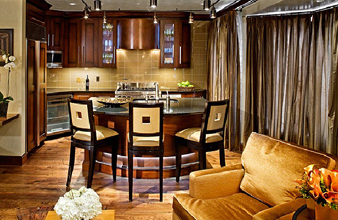 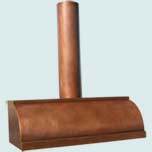 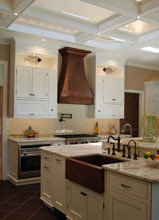 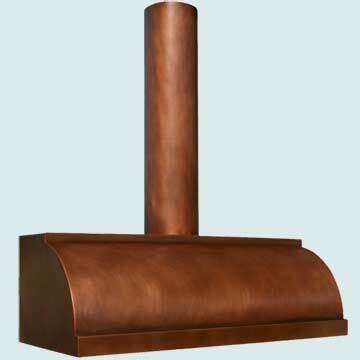 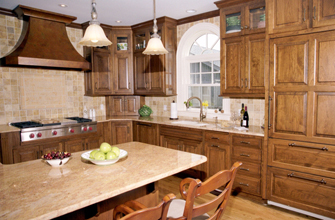 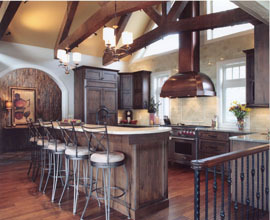 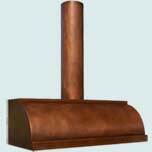 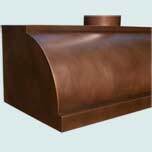 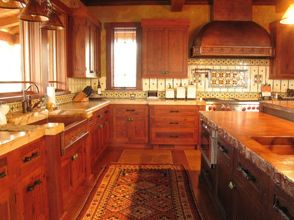 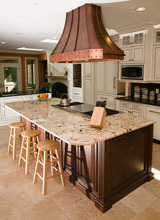 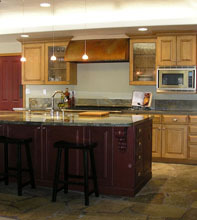 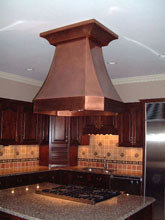 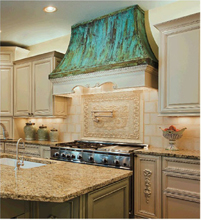 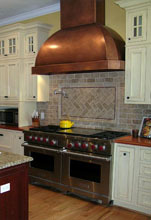 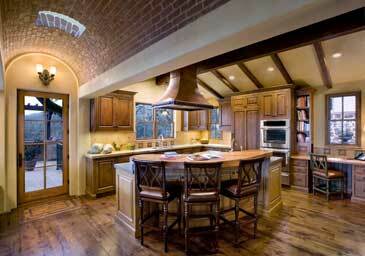 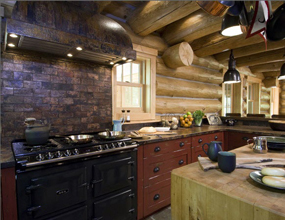 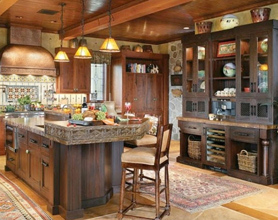 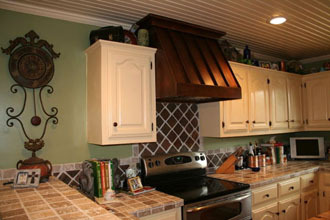 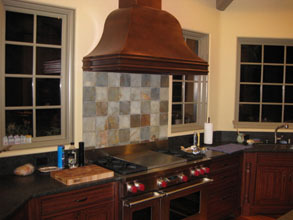 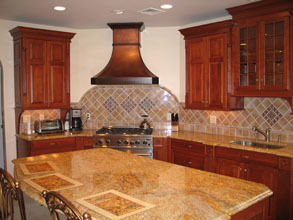 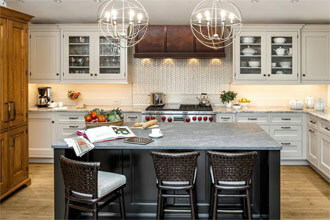 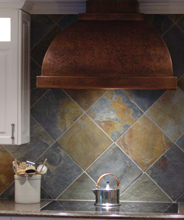 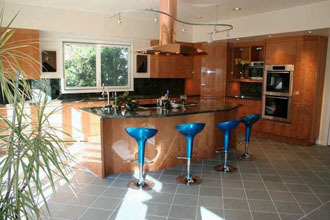 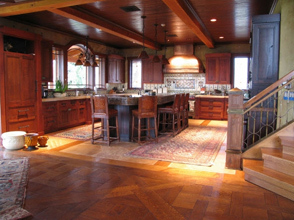 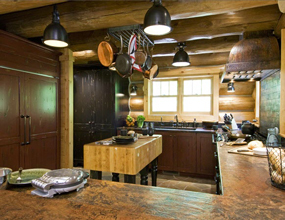 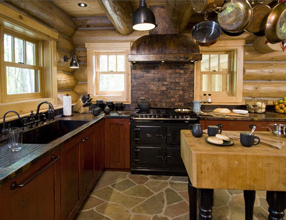 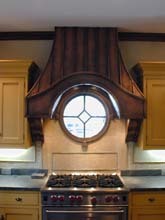 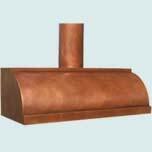 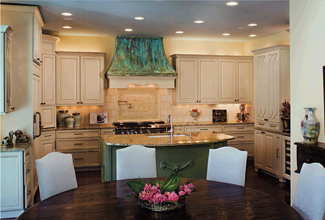 Copper Range Hoods # 3195 | Handcrafted Metal Inc. 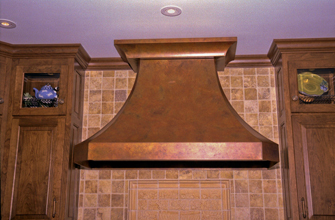 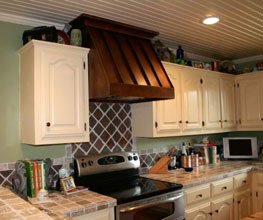 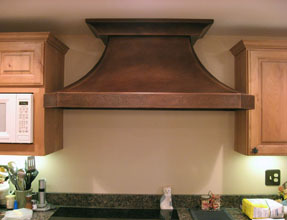 This Single Roll hood features a round stack and steps at the bottom and top to give the front more depth and definition. 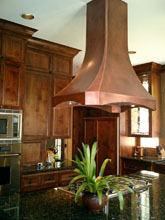 All welded smooth 16 gauge copper, finished with our Medium antique patina.